I have created an updated version of this pattern with a supportive video tutorial if you would like to take a look. It walks you through the process of making the mittens from start to finish – with a few small changes (cuff is whipstitched closed instead of slip stitch closed). 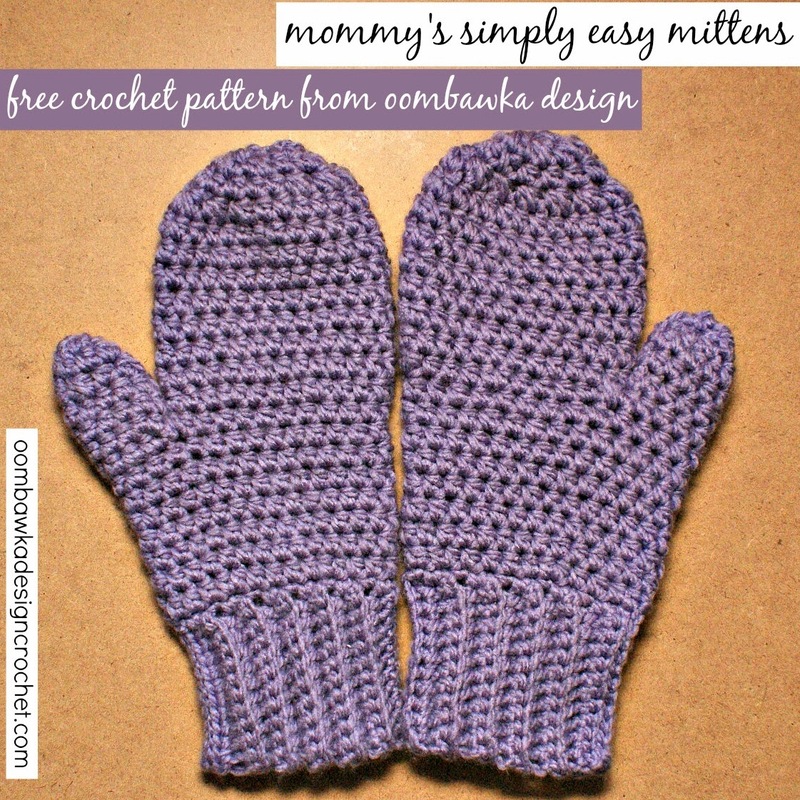 The free pattern is Mommy’s New Mitts and uses a yarn which is currently available for purchase. Turn the mitten inside-out, thread the tail on a yarn needle and weave it through the stitches, tighten to cinch the ends closed. 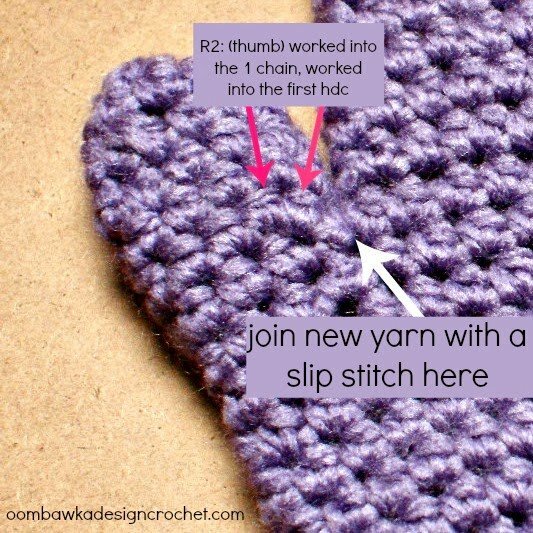 With the opening for the thumb on the left-hand side of your crocheted work; attach the yarn to the furthest stitch on the right-hand side of the opening. Turn the mitten inside-out, thread the yarn tail onto a needle and weave it back and forth through the remaining stitches of the thumb, pull to tighten and weave in ends. Repeat for the 2nd mitten. I made this pair for myself. They are very comfortable! To adjust the size – longer or shorter, I recommend decreasing/increasing the number of repeats between R13-R17 of the Mitten instructions. Hi Elizabeth, If you mean how do you have an opening for a thumb and not add the top of the thumb? then you would just follow the instructions for the pattern and stop after you close the top of the mitten. If you are asking how to make this a solid mitten without an opening for the thumb? R4 – R16: repeat R3 (27) and skip the instructions written in the original pattern from R10-R16. R17: hdc2tog once. 1 hdc in each remaining st around. Continue the pattern from R18 on to the end. Making a pair of these mittens for a friend using Bernat Baby Blanket yarn for a friend but she doesn’t want the thumb in there. How would I go about eliminating the thumb? Working mitten pattern, when skipping 8 stitches for the thumb hole, do you crochet the 9th stitch with separate yarn from the last stitch? After row one on the mitt part it doesn’t say sl st or ch 1 do we sl st and ch 1 or just keep crocheting, new at this. Hi! I made a pair of mittens with this pattern & they are very pretty in the multi-color yarn I chose. Thank you for this free pattern – I needed something that wasn’t too complicated. Just made these yesterday, ad I gotta say! I love them!! I did have to adjust them a bit to suit my hands, but I love how thick and cozy these are! Thanks for the free pattern!! 2 hdc in the first st (skip 8 sts), (1 sc & 1 hdc) in the next st. 1 hdc in each of the next 3 sts, 2 hdc in the next st. 1 hdc in each of the next 3 sts, 2 hdc in the next st. 1 hdc in each of the next 3 sts, 2 hdc in the next st. 1 hdc in each of the next 3 sts, 2 hdc in the next st. 2 hdc in the last st.
You are working with 19 sts (you are skipping the other 8). Hi, I’m just teaching myself to crotchet and practiced the different stitches. I’m now making these mittens. I’ve made a few mistakes but it’s a good practice with this easy pattern. Thanks. I’m confused at row 10! My stitches are not adding up to 26… I get to 22 or 24. 22 St if I don’t count the first 2 before the skip 8!what am I doing wrong? 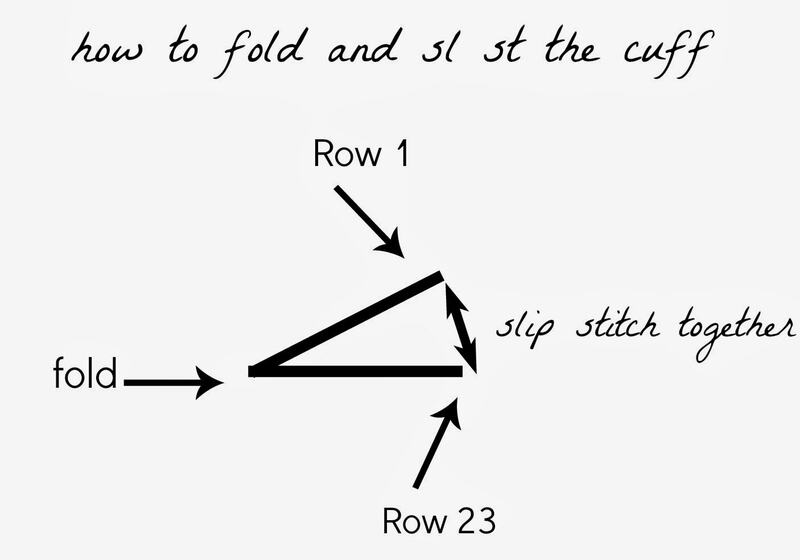 I do the 2 hdc on first St skip 8 then 1 SC and 1 hdc in St then 4 sets of 1 hdc in next 3 and 2 hdc in next st.
Hi Lucy, You do not need to cut the yarn you just skip the stitches and work into the specified stitch. I usually flatten the project to bring the two stitches closer together to make it easier to work into. The skipped stitches will form the thumbhole. 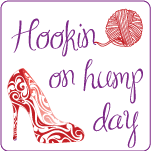 what weight of yarn did you use?? Thanks! these were turning out perfectly – until I got to row 10. I’m new to crocheting and I don’t understand what to do with the yarn when I’m skipping 8 stitches. Do I slip knot and cut. then re-attach after the skipped stitches? What size chrocet hook do I us to make this mitten?